Though in Tokyo there are no museums with permanent collections ranking with those of the likes of The Louvre, The Prado, The Met, The British Museum or Taipei’s Palace Museum, it is still one of the best, or maybe even THE best place in the world for special museum showings and exhibitions. During any given week, a glance at the museum listings will reveal several must-see shows at dozens of interesting venues, catering to almost any taste or inclination. 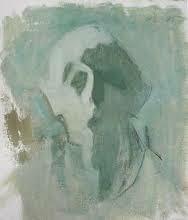 What makes the exhibition so apealing to me is the eclecticism of her oeuvre. 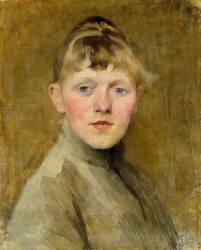 Schjerfbeck was unable to attend school as a child (because of an injury) but her artisic talent was recognized by a tutor. 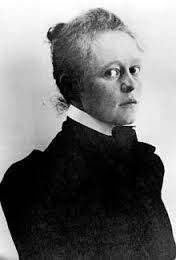 At the age of 18, she received a scholarship, and left the backwater that Finland was at the time (an autonomous Grand-Duchy within the Russian Empire) and to the place where every artist and artiste in the world at that time dreamed of going to- Paris- the City of Light ! 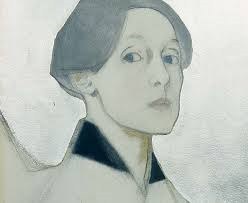 There she obviously soaked up the great art of that time and place- you can see the clear influence of many of the great names of Western art in her works before she developed a style of her own- which also seemed to continually change. 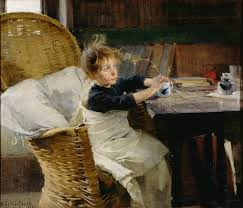 Though she did spend a few term of study in France (and a spell in the UK, as well) , Helene eventualy settled down back in Finland- not with husband, as was usual at that time (she never recovered the heart-break of being jilted by her fiance)- but to a life of art, living with her mother in rural Finland. 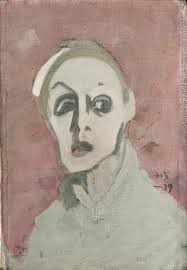 The current exhibiton at the University Art Museum, Tokyo University of the Arts (Tokyo Geidai) emphasized Helene`s work as a self-portraitist- and she truly shows herself to be Finland`s own Lon Chaney (who was nicknamed the Man of a Thousand Faces) . 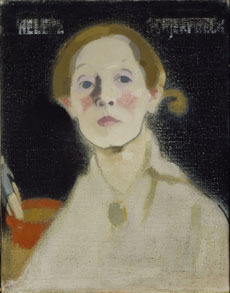 After she had spent years exploring the various artistic trends of Europe at the time- she spend the remainder of her life exploring herself, and trying to capture what she saw on canvas. Apparently living out in the secluded countryside Helene did not have the variey of subjects to choose from that she had in lively Paris- so she focused on herself . It was more than worthwhile spending a couple of hours (the other day) with this woman who dedicated her entire life to her art was proof (once again) to me that Tokyo is THE most exciting city for art!